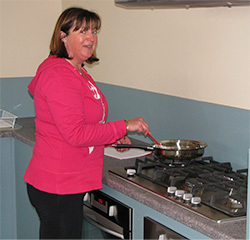 The school garden is lovingly overseen by our Garden Kitchen Co-ordinator, Mrs Kim Aitken. Each term a different year level is involved in caring for our school garden throughout the year. The children are provided with the opportunity to learn about sustainability practices and healthy produce as part of a (AusVELS) Science curriculum focus. Produce from the garden is used in the canteen as well as in celebration activities at the end of the unit of work. This may involve a craft activity using plants and herbs or a cooking session where the children will be able to sample what has been grown in the garden. It is a very important part of our school program and we are fortunate to have an ever-evolving vegetable and herb garden at TRBPS.